Our whole team at Philip H. Schwenk D.D.S. P.C. strives to provide a welcoming and relaxing environment for you and your family each time you visit our office. We welcome you to read our reviews to learn more about why our patients choose Dr. Philip H. Schwenk as their dentist in Jasper, Indiana. To learn more about us and to set up your next appointment, please contact us today. We are eager to take care of your smile! Professional, caring & painless-our family couldn’t be happier. I would highly recommend Dr. Schwenk to my friends and family! Dr. Schwenk puts my nerves at ease-he is very good to explain and cares about me as a person. I just appreciate how much they all truly care! Such welcoming smiles already at the front door. 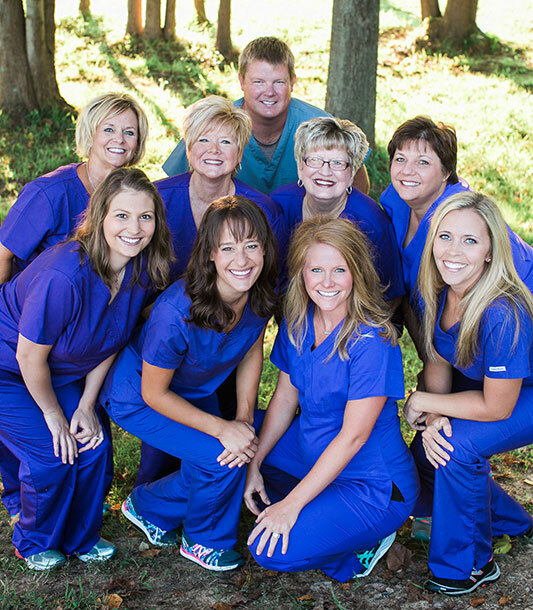 Schwenk Family Dentistry is the best around! They address your dental needs without the high pressure dentistry. We are truly blessed to have such an amazing dentist in the area. His staff is just as great! Dr. Schwenk & his staff were wonderful. They are all very kind, efficient, and cared about me! Angie always helps to provide an awesome experience-they care! Dr. Schwenk explained all our options-great dentist, efficient, and knowledgeable. Very sensitive to patients with anxiety! Dr. Schwenk really took his time and addressed my concerns. My hygienist, Lisa, really cares about my oral hygiene! Lorrie (dental hygienist) has been cleaning my teeth for years-always a pleasant experience! As a patient, I appreciate you!